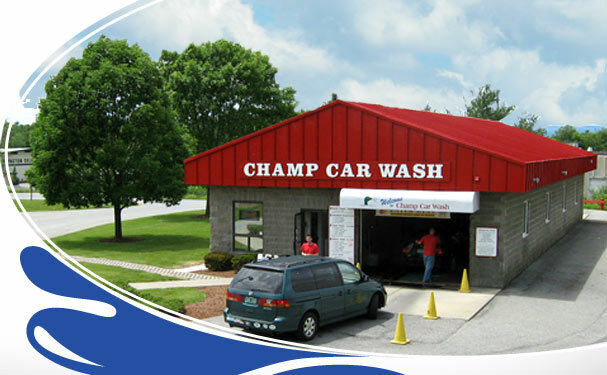 Champ Car Wash utilizes state-of-the-art Touchless equipment and cleaning agents plus an old fashioned dedication to detail to turn out consistently clean, Showroom Shiny cars time after time. The commitment to the quality of our work and the satisfaction of our customers has made us the first choice of Chittenden County car owners for over 30 years. 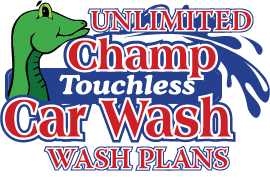 Experience the Champ Car Wash Touchless System at one of our three convenient locations where nothing but water and cleaning agents touch your car. In today's fast paced world we know that you would prefer to spend less time at the car wash yet still receive an exceptional quality car wash. Our Touchless equipment will wash the exterior of your car in less than two minutes. Stop by and let our friendly, professional staff provide you with a great car wash experience.